Description: The De Lorean DMC-12 is a sports car which was manufactured by the De Lorean Motor Company from 1981 through 1983. It is most commonly known as the De Lorean, as it was the only model ever produced by the company. The DMC-12 featured gull-wing doors with a brushed stainless steel body. It was famously featured in the Back to the Future trilogy. The first prototype appeared in March 1977, and production officially began in 1981 (with the first DMC-12 rolling off the production line on January 21) at the DMC factory in Dunmurry, Northern Ireland. During its production, several aspects of the car were changed, such as the hood (bonnet) style, wheels and interior. Around 8,583 DMC-12s were made before production fizzled in late 1982, with final production taking place in early 1983. 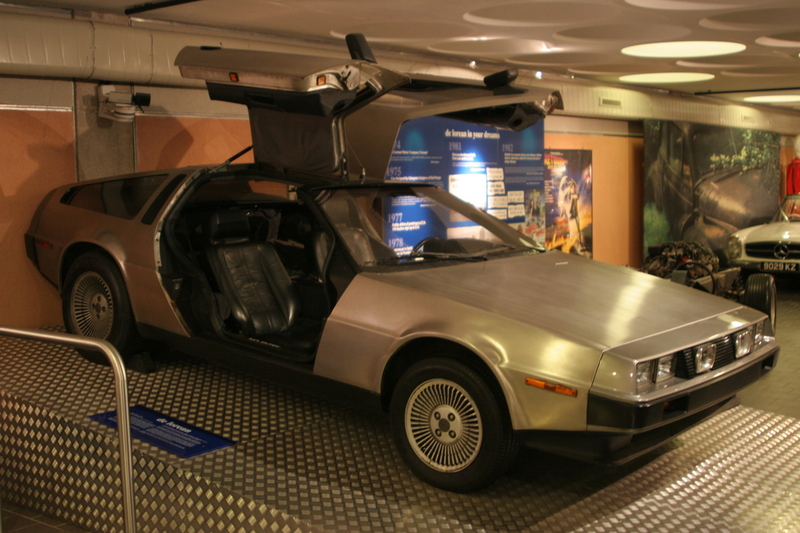 Today, about six thousand DeLorean Motor Cars are believed to still exist. Despite being produced in Northern Ireland, DMC-12s were primarily intended for the American market. Therefore, all of the production models were left-hand drive (designed to be driven on the right side of the road), limiting its popularity in the United Kingdom, where traffic travels on the left. Only four right-hand drive De Loreans were ever produced, converted by specialized mechanics for use in the UK.